« LYF’s Smallholder Network – Delivering Tangible Results! By any stretch of the imagination – the SSN has achieved phenomenal results (see our other recent blog posts) for a project that set out to work towards the empowerment of smallholders and to increase their sustainability and livelihood chances. But the successful ingredients of the SSN are even more impressive when the tiny budget and staffing levels of the LYF are taken into account. The LYF packs a powerful punch when it comes to ‘Operations Minus Overheads’ and it is proud of its ability to use funding imaginatively but sensibly and to keep as much money ‘in country’ as possible! 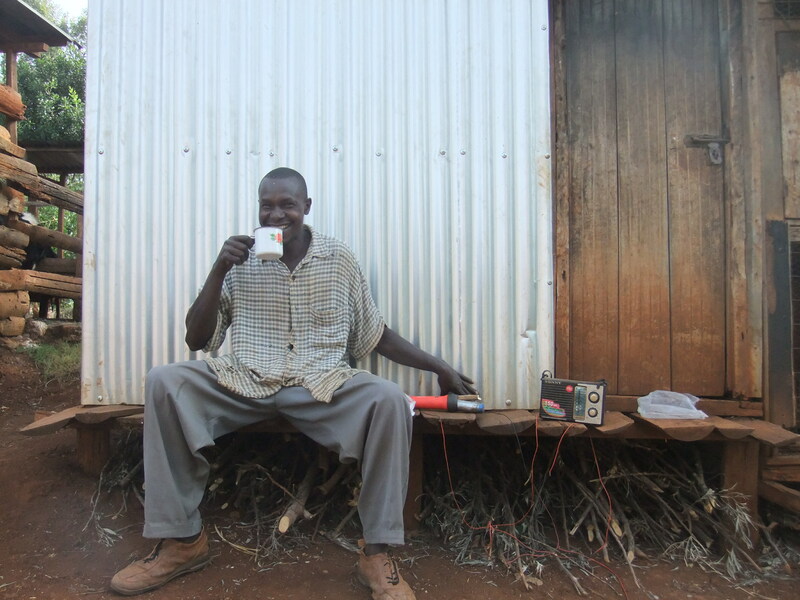 However, the funding for the Radio element of the SSN will end in April 2012 – so in order to ensure that this work of ‘entering the homes and lives of the smallholders’ continues – we need your help! The costs required to keep the Radio Broadcasts going for another year are pretty small and very simple…. Help – Innovate – Donate! £150 for the Farmer Field Listening Groups and the costs for the research and content creation/ Extension Officer/Presenter costs. SIMPLICITY and CREATIVITY has always been the keywords of the LYF….PLEASE think Simply and Creatively about how you can help the continuation of the SSN Radio Broadcasts! Hold a Coffee Morning to raise funding for the SSN…. Screen a showing of ‘Black Gold’ in your community…. Clean out your junk – have a Car Boot Sale and provide a Free Coffee for every sale over £2.00…. Or if that is too much trouble – just make a simple donation! We REALLY need your help to make good these incredible gains to date….! We know through personal and professional experience that Radio Outreach is the Lifeblood of Africa. Please help us to refine this approach for smallholder empowerment. It isn’t rocket science. This approach sprang from small-scale and cost-effective attitudes from people who have lived and worked in developing countries and who are vehemently FOR keeping money for foreign aid in the countries that need it the most. But most importantly of all – we can now show that this approach WORKS for the smallholder! The LYF now wants to replicate it across the developing world – but we can’t do this without your support and action! This entry was written by Ian Agnew, posted on 12/03/2012 at 10:37 pm, filed under Farmer Extension Programme, Latest News, Project News and tagged Africa, African farmers, agriculture, Ambo, APPG, capacity building, CMS, coffee, coffee trade, comic relief, Coro FM, CRS, Dormans, Ethiopia, Kenya, Lorna Young Foundation, LYF, OCFCU, Oromia Coffee Farmer Cooperative, smallholder, smallholders, trade, tradejustice, training. Bookmark the permalink. Follow any comments here with the RSS feed for this post. Post a comment or leave a trackback: Trackback URL. This really is heartening news and work! I like the Coffee Flavoured week. I hope someone taes that up!